Life Stories may be produced in print, video or audio. We pay attention to quality in all aspects of the work we produce and the way it is presented. We provide a personalised, confidential service that is tailored to the needs of the individual, company or organisation. We work with a client collaboratively so that they are fully involved and consulted at all stages of the creative process. You may have started writing your memoirs and just need some help to finish them off. We offer one-on-one mentoring, editing and ghost writing services, as well as expertise in publishing books. Don’t leave that manuscript in the bottom drawer to collect dust – let us help you complete your book so that you can share it with others. You may have boxes of photos and historical documents in need of attention. We can help you organise, digitise and archive these precious items. Be assured that we will look after and treasure your precious photos and historical documents as if they are our own. Producing a Video Life Story is another service that we offer for those that wish to be filmed in their own environment. These edited documentaries provide a poignant personal history of a person’s life and their home. 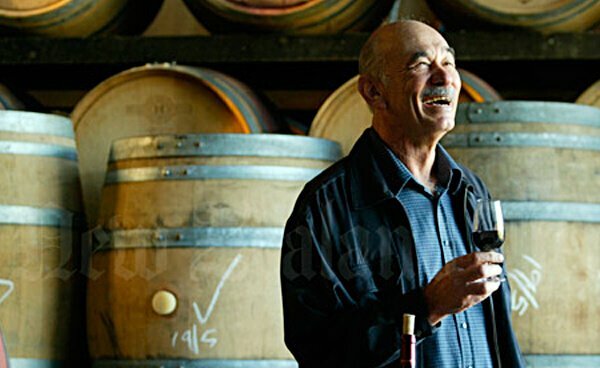 Joe Babich of Babich Wines. Maria de Jong interviewing Gordon Kon Hung Mar about his escape from southern China during the Japanese occupation in WW II. 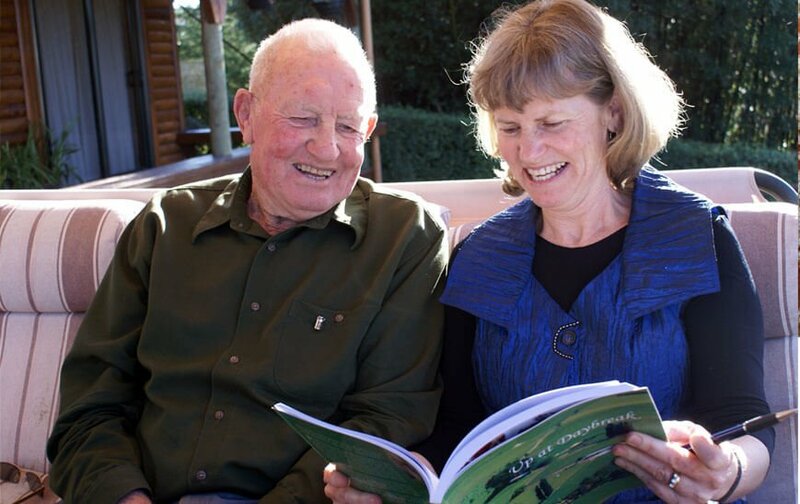 David Wilton sharing his book with daughter Heather. Click here to listen to a brief audio recording of cartoonist Peter Bromhead talking about the early days of his career.